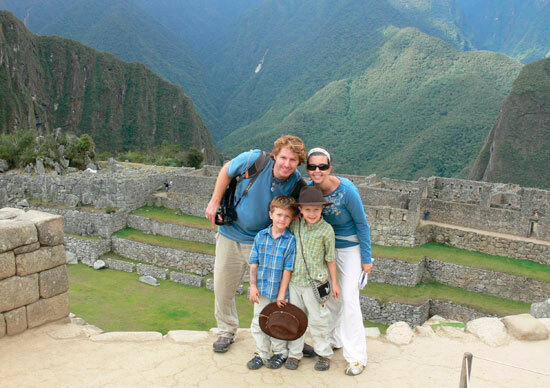 Visit Peru on this Family Adventure, travelling through Lima, Cuzco and Aguas Calientes. Explore the Amazon Jungle and the impressive ruins of Machu Picchu on this fantastic family holiday. 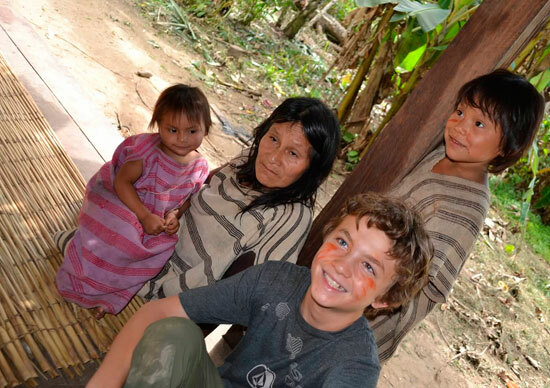 Discover Peru on this Family Adventure, touring the Amazon Jungle, Machu Picchu, Cuzco and Lima. Gaze up at Peru’s dazzling peaks and into picturesque valleys to understand why the Andean mountains were sacred for the Incas. This well-paced holiday combines time in the fascinating historic cities of Lima and Cuzco with time exploring some of Peru’s most amazing settings. Children will love the strange sensation of walking across islands made entirely from reeds. Enjoy a memorable train journey through the heart of the sacred valley to Machu Picchu and breathe in the magical spirit of the Incas. Join a guided tour through the historic streets of this fascinating city, perhaps descending below the San Francisco Monastery to explore its eerie catacombs. 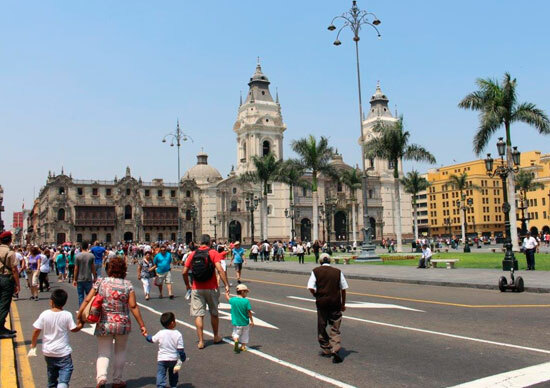 Lima is a large, fascinating hotchpotch of architectural styles, coastal scenes, world cuisines, impressive museums, traditional culture and modern arts and nightlife. This morning after breakfast we embark on a city tour to discover the delights of this wonderful city. Catch a flight to the jungle outpost town of Puerto Maldonado. Then head upriver into the heart of the Amazon and learn from local guides about the flora and fauna that make this one of the world’s greatest cradles of biodiversity. Enjoy a panoramic drive across the changing landscape of the Andes to Cuzco, keeping an eye out for llama along the way. Spend a full day exploring this one-time capital of the Inca Empire, admiring its beautiful architecture and historic atmosphere. Travel through the Sacred Valley to the small, traditional town of Pisac. Spend some time wandering the colorful market – if you’re after some authentic Andes souvenirs, this is the place. Visit a local farm for an insight into regional life, and then take a walk out to the Inca ruins dotting the surrounding landscape. Continue on through the Sacred Valley to the tiny town of Ollantaytambo. The extensive layers of fortified rock-wall terraces are an impressive sight to behold, and an astounding feat of engineering ingenuity. Rise early for a short morning bus ride up to Machu Picchu and watch this staggering archaeological wonder appearing through the morning mist. Discover the best vantage points and mysterious history of this incredible site on a guided tour, and gain an insight into what life would have been like under the Inca empire. Cuzco is one of Peru’s most attractive cities, and well worth spending some extra time here if you have it. Notes: Please note that these trips are for adults and children travelling together and there must be at least one child under 18 with you. Minimum age for children on this trip is 5 years old. A discount of 10% applies on this trip to children under 15 years of age at time of travel.